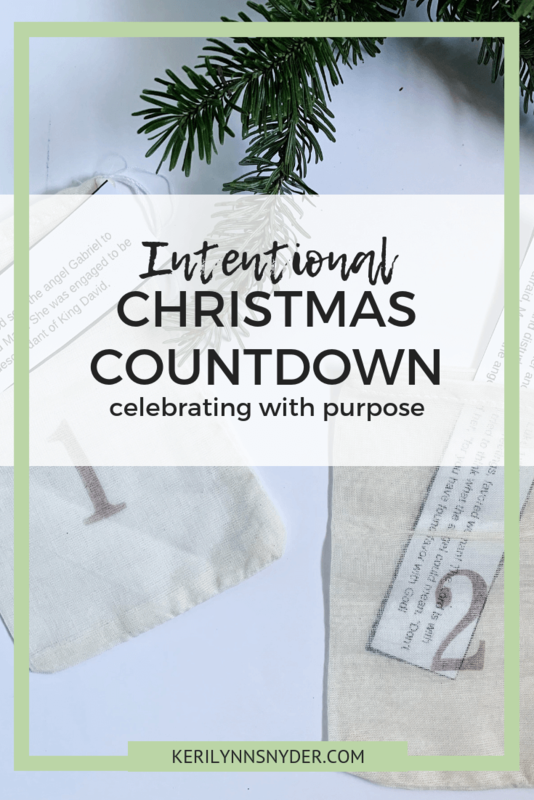 This intentional Christmas countdown will help your family celebrate the season with purpose! A Christmas countdown is essential for our family. Any other moms have kids who ask when Christmas is?! You are not alone! My kids have been asking since the middle of November. I remind them that once we hit December 1st we will start the Christmas countdown! Honestly, I am just as excited as my kids. I think all four of us are always eagerly begging my husband to go get a tree the week before Thanksgiving. I love being able to get the house decorated before December starts and it is just a fun season! We have tried many different Christmas countdowns but this year, we decided to do an intentional Christmas countdown. You can easily put this together yourself! Your first step is to put the numbers 1-25 on the outside of the bags. I have these stamps so I used those. However, you can also use a marker to write on the bags. If you do not have muslin bags, consider using lunch bags, treat bags, or envelopes. As you know, I am a fan of using what you have! However, if you do want to use the muslin bags, grab some from your local craft store or here. You can either write out verses for every day or print the ones I have put together. The daily verses are part of the Family Moments December Kit (when you purchase Family Moments, you get access to the entire 12 months of Family Activities). These verses lead you through the Christmas story. Put the verses in the bags. I am all about preparing ahead. Put all of the bags together and have them ready. This way, you will not be overwhelmed trying to get things together! Add in any extra fun! You can add in a little treat, Christmas stickers, a kindness challenge card, etc. That is all! 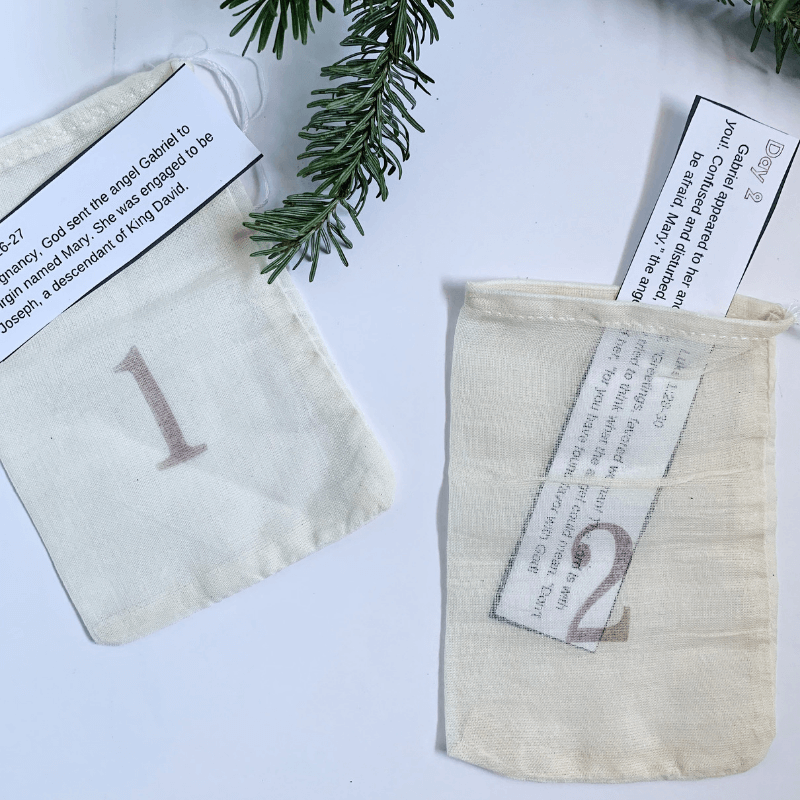 You could also use the daily verses to create a paper chain countdown. If you are just finding this idea and December has already started, just start on the appropriate day and go forward! It does not have to be perfect. Do you have a Christmas countdown? Share in the comments your fun activity!